The Benelli Leoncino 250 features an oval-shaped LED headlight and all-digital instrument cluster. 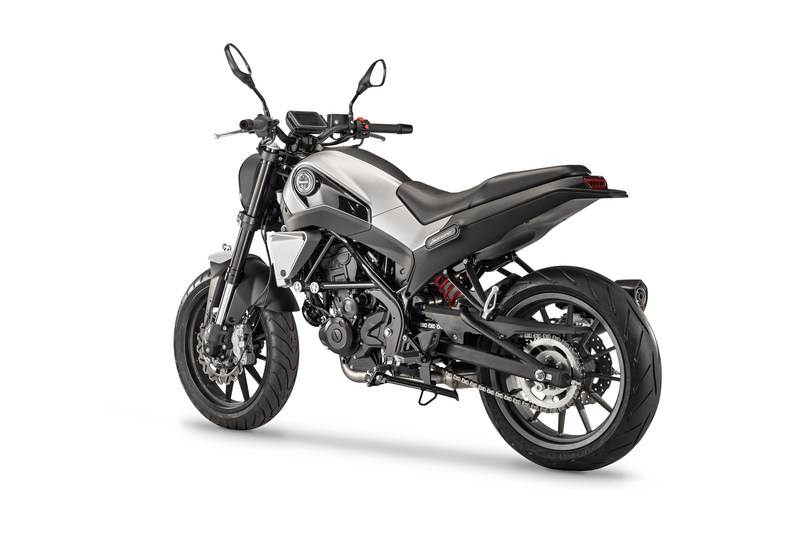 The Benelli Leoncino 250 will join the upcoming Leoncino 500 range, which includes the standard Leoncino, Leoncino Trail, and the Leoncino 500 Sport. The Leoncino 250 carries forward the same design language as the elder siblings but in compact dimensions. 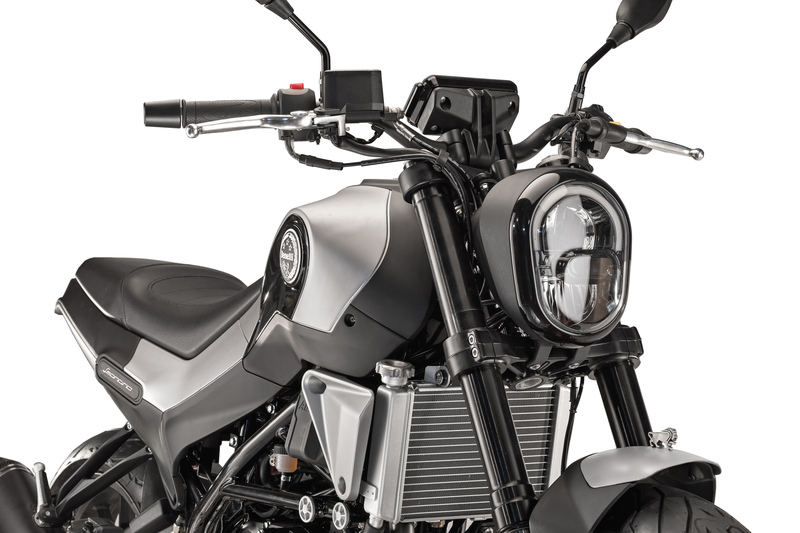 The motorcycle is underpinned by the same chassis that suspends the Benelli TRK 251, which is also confirmed to launch in India before the end of next year. The Benelli Leoncino 250 is a neo-retro scrambler that will rival the likes of the KTM 250 Duke and the Yamaha FZ25. The Leoncino 250 is available only in the standard road-biased version. Apart from the Leoncino and TRK range (250 & 500), the company also plans to launch the Benelli TNT 302S (TNT 300 replacement), and the Benelli Imperiale 400 by the end of 2019, while the 402S and the 750S are scheduled for an Indian debut in the coming years. The Benelli Leoncino 250 made its debut at the EICMA 2017 alongside the TRK 251, Benelli 402S and the TNT 302S. The motorcycle features full-LED headlamps and an all-digital instrument cluster. The Leoncino 250 comes equipped with 41 mm upside-down front forks and an adjustable rear mono-shock with 51 mm suspension travel. The Leoncino 250 is likely to be priced circa INR 2 lakh (ex-showroom) in India. Powering the Benelli Leoncino 250 is a 249 cc, 4-valve, single-cylinder, fuel-injected motor. The liquid-cooled engine is capable of producing a maximum power of 25.5 bhp at 9,250 rpm while generating a peak torque of 21.2 Nm at 8,000 rpm. The motor pairs to a 6-speed gearbox. The motorcycle features a fuel tank capacity of 17-litre along with a kerb weight of 153 kg. The Benelli Leoncino 250 shares design cues with the Leoncino 500 and chassis with the Benelli TRK 251. The Benelli Leoncino 250 comes shod with 17-inch alloy wheels at both the ends that wrap on 110/70-section Pirelli Angel ST front and 150/60-section Metzeler Sportec M5 rear tubeless tires. Braking power is aided by a 280 mm front disc with a four-piston calliper, while the rear gets a 240 mm rear disc with a single-piston calliper.